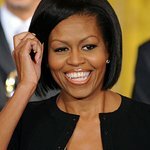 Today, in celebration of the 60th Anniversary of the President’s Council on Fitness, Sports & Nutrition, the National Foundation on Fitness, Sports & Nutrition, Funny Or Die, and SS+K launched a new video encouraging Americans to be healthy and active starring First Lady Michelle Obama and Comedic Actor Nick Offerman. The History of Exercise video showcases Nick Offerman humorously engaging in various fitness trends that have shaped the last six decades, with special encouragement from the First Lady and his wife, actress Megan Mullally. The video underscores the fact that while fitness routines may have changed over the years – and that some earlier trends have rightfully not stood the test of time – the importance of adopting a healthy lifestyle has remained the same. The History of Exercise video will also be featured on the new #0to60 App and mobile-ready website (0to60fitness.org) that was also launched today by the Foundation to celebrate the President’s Council’s 60th Anniversary. These new tools provide Americans with simple and fun physical activity and nutrition tips to jump start healthy habits as well as resources and programs for families, communities, and schools designed to support individuals on their journey to living a healthier lifestyle. The #0to60 App is available for free download from the App Store for all iOS devices. The website can be accessed on any desktop, laptop, or mobile-ready device. The video, app and website release kicks off the fall activities of the #0to60 Campaign, a national public health initiative to inspire every American to participate in regular physical activity and good nutrition. Through the #0to60 Campaign, the President’s Council and Foundation, along with partners across the country, are focused on providing Americans with the information, resources, and inspiration needed to build a healthier, more productive nation. The congressionally chartered Foundation teamed-up with some of the nation’s health and fitness leaders to launch the video and app, including the American Heart Association (AHA), as the lead partner for the video, the American Council on Exercise (ACE), as the expert fitness content provider for the app and supporting partner for the video, and the International Health, Racquet & Sportsclub Association (IHRSA), a supporting partner of the video. SS+K provided the Foundation creative oversite for the development and execution of the #0to60 Campaign and History of Exercise video.